In 1919 Vacheron Constantin made a watch in a cushion shape case with a crown placed at the upper left corner, at the 11 ‘o clock position. 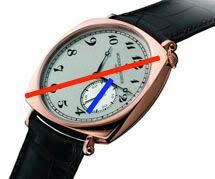 Usually the crown is at right side of the case mostly at the 3 ‘o clock position, sometimes at the 4 ‘o clock position. 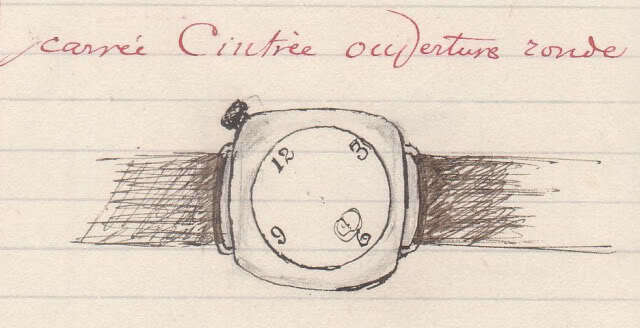 Some watches even place the crown at the left side, at the 9 ‘o clock position. 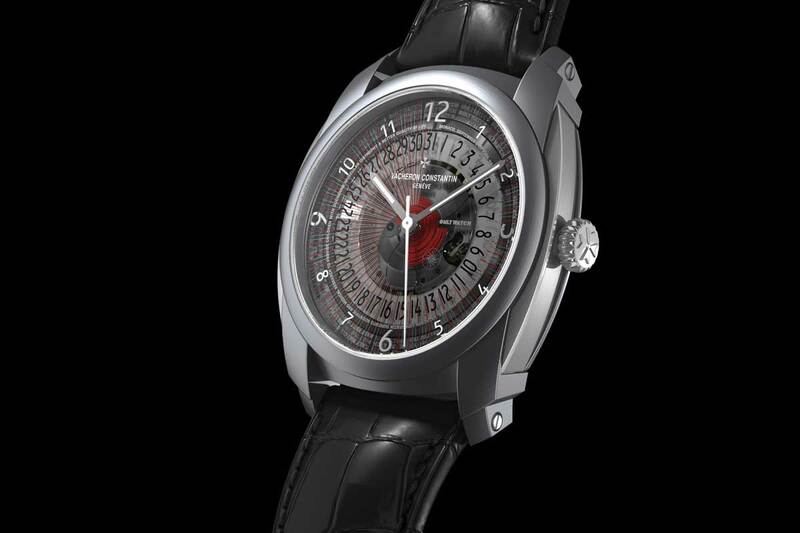 The crown position Vacheron Constantin has chosen is very remarkable. I believe this was a so called driver’s watch. Due to the crown position and the use of a conventional movement from a pocket watch, the dial is turned slightly so the 12 ‘o clock position is where the crown is, at the upper left corner. If the watch was worn on the right wrist, it was possible to read time while keeping your hands on the steering wheel. This model was made in only 12 pieces and originally all were to be shipped to New York but finally it was also available to other markets who asked for this piece. In this vintage piece, a RA 11 lignes Nouveau Amérique movement was used, which was made specially for the US market starting 1916. 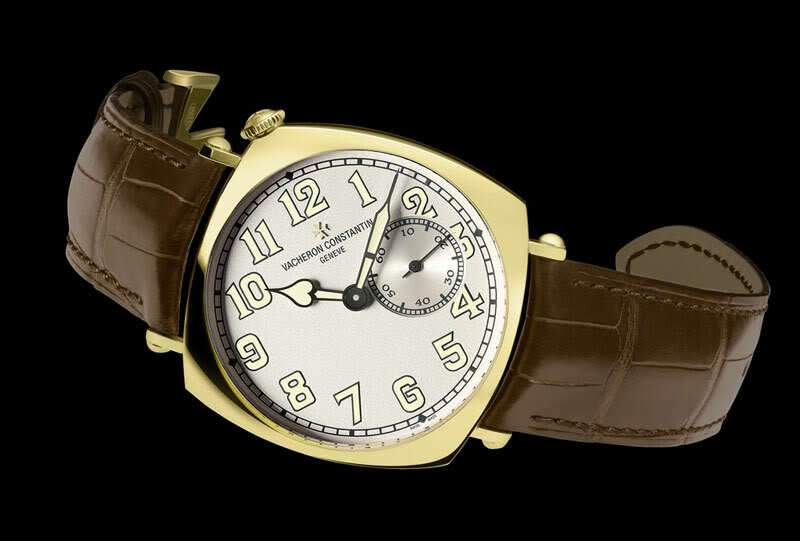 Later, in 1921, Vacheron Constantin made variation on this watch, called American 1921. In the American 1921 the changed the position of the crown from the upper left corner to the upper right corner, at the 1 ‘o clock position. This model was also limited to 12 pieces, which where sold over a period of 10 year; the last one was sold in 1931. 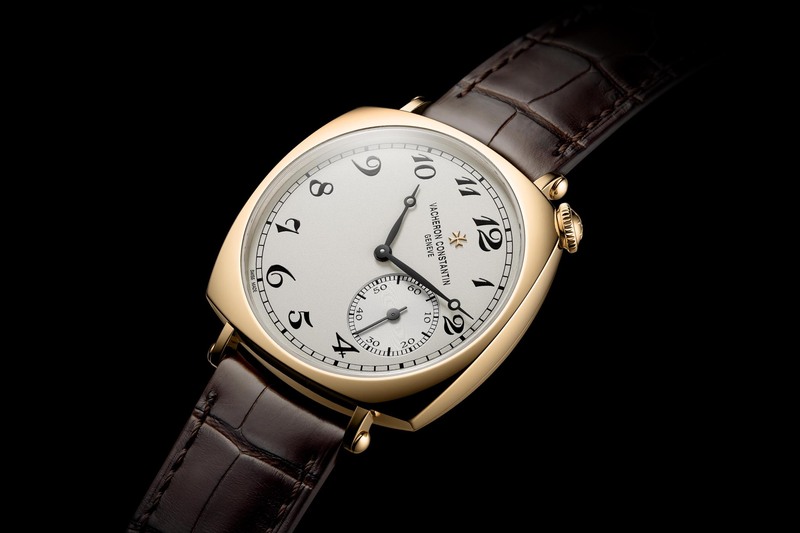 In 2009 Vacheron Constantin combines the case and crown position of the vintage American 1921 with the dial design of the earlier model from 1919 in the re-issue Historique American American 1921 has an all new in house movement, caliber 4400; a manual winding movement featuring a small second hand at a 90 degree angle from the winding crown. I already mentioned it, the Historique Amercan has something weird. The vintage models had the crown, 12 ‘o clock position and the smal seconds in one line. The new caliber 4400 has the small seconds placed at a 90 degree angle, which is not so weird. But do take a good look at the numbers of the seconds scale. A Dutch watch news website, horlogenieuws.nl, blogged about the strange seconds scale. 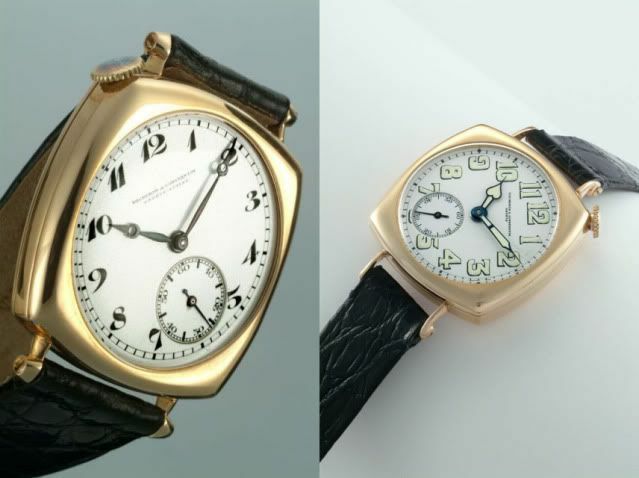 Somehow Vacheron Constantin turned the seconds scale so it’s 60 position is pointed towards the top of the case and the 30 position towards the bottom of the case. Usually this is correct. However with this dial where the 12 ‘o clock position is turned to be at the 1 ‘o clock position this looks weird. To read the seconds you have to look in a different angle that when reading the time! In my opinion Vacheron Constantin can make this beauty even better, by placing the small seconds at 6 ‘o clock and turning seconds scale so it can be read from the same angle as the hours and minutes. Although these ‘flaws’ i still think it’s a superb beauty and one of the most beautiful watches released in 2009. At Vacheron Constantin’s own discussion forum, the hour lounge, independent watchmaker Kari Voutilainen reviewed the new in house caliber 4400. I’m really not a huge fan of this watch. 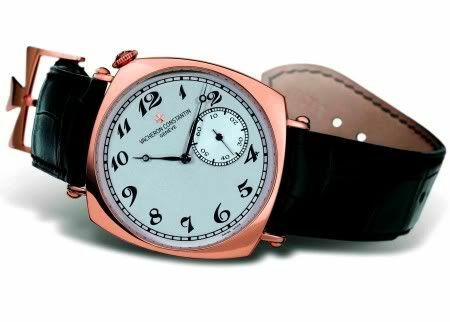 The rose gold coloring and the crocodile leather strap are certainly handsome, I don’t like the angle of the hour markers. Call me a traditionalist but I prefer the classic design for the hour & minute markers as well as the seconds hand. That being said, I do greatly prefer the arabic numerals to Roman numerals. I’d be interested to carry a pocket watch with this style face and see what kind of interest it would generate. 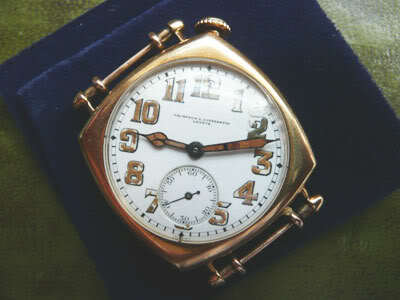 Hi i am interested in contacting the person with the original 1921 vacheron american for sale. Superb example of understated elegance with a twist. Only those in the know will appreciate this beauty! Hand wound manual movement, Geneva seal hallmark, quirky design, pure class! I have owned this watch for nearly 2 years now, I LOVE it!! Nobody notices it except those in the know! So much history, & pure class. 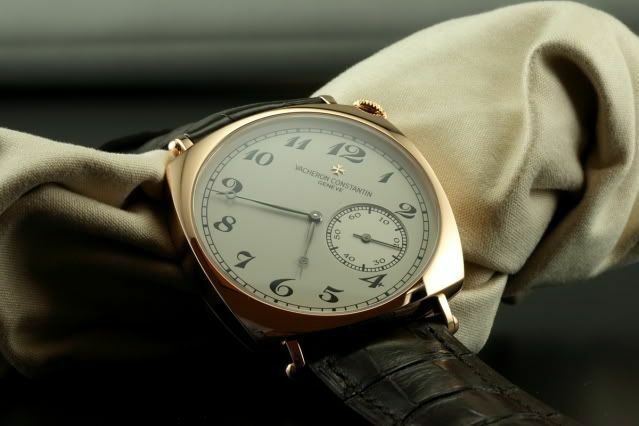 If there is any watchmaker who knows how to make timeless watches, Vacheron are it!! 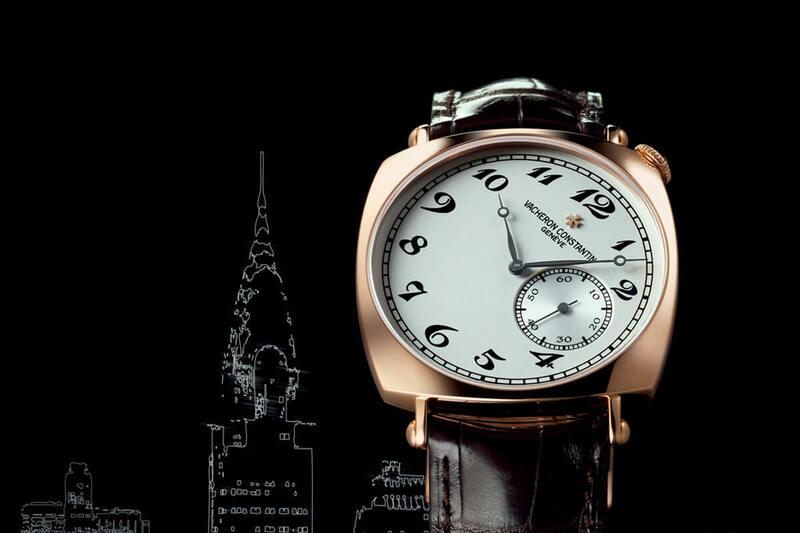 Congrats on your excellent choice, Tm, the Historique American 1921 is a timeless beauty with so much class. Wear it in good health! I have recently bought a VC American 1921. It was love at first sight.I simply can not imagine owning or wearing any other brand. 2 & 1/2 years on this watch still captivates me! There is nothing else out there like it! Waiting to watch the great gatsby wearing the 1921 American! Any original Amarican watches for sale? Box & papers dated July 2011.